This adorable AP turtleneck has so many cute details!---I ship anywhere. Size, shipping, and feedback is in the Main Description. ---The AP Lace Up Lacy Turtleneck has floral lace over the material at the shoulders with a tiny satin bow beneath. There are three bows at the wrists. 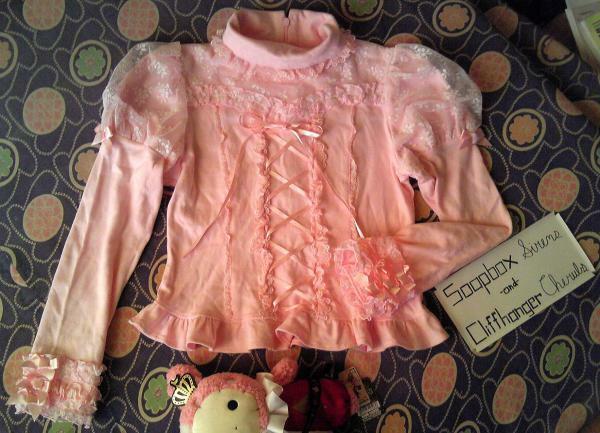 It is missing the big pink satin bow at the neck and I sowed a button on the back of the neck. I have never worn the turtleneck. Its condition is Good.